The use of technical terms not understood by the non-specialists. As part of an open-source software initiative, OSCAR web version was developed for Web standards compliant browsers. It was successfully tested with Mozilla Firefox 1.5 (& above) and Opera 9 (& above). The web version is not yet Internet Explorer compatible due to technical problems of IE. 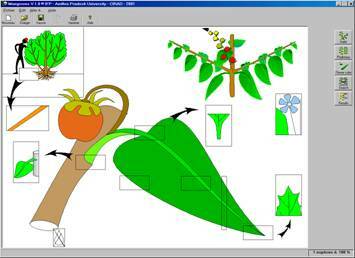 system uses a graphical system which reconstitutes the plants using images. It only uses drawings instead of technical jargon. Certain level of observational errors are also tolerated. At each step of the identification process, a probability of resemblance is calculated for each species. Thus species are sorted by decreasing order of similarity. 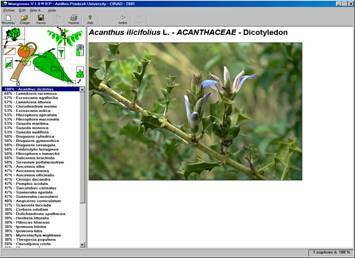 At each step and moment, users could access the photos, the description, and the botanical illustrations of the species. In case users encounter doubt in the choice of characters (for description), they could ask the program for the most pertinent one. 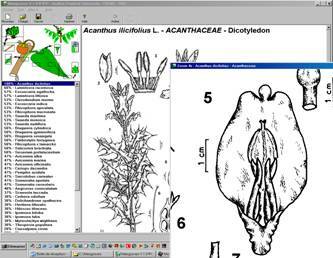 If the probability of a species identified is less than 100 percent, the program indicates the characters that contain bad description. 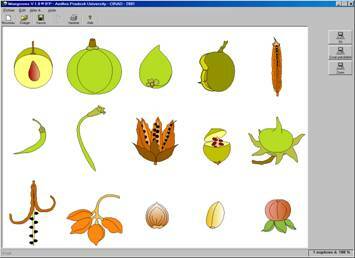 Descriptions of the species can be available through Internet Website with any type of browser. The program being multilingual, it caters to a larger section of people. All the technical terms used are highlighted and at a click, an hypertext illustrated definition is accessible. Send mail to contact-amap@cirad.fr with questions or comments about this web site.